John Valentine Lovitt was born on August 25, 1898, in Bear River, Nova Scotia, and raised in Philadelphia, Pennsylvania. He attended West Philadelphia High School prior to becoming a member of the University of Pennsylvania’s Class of 1920. 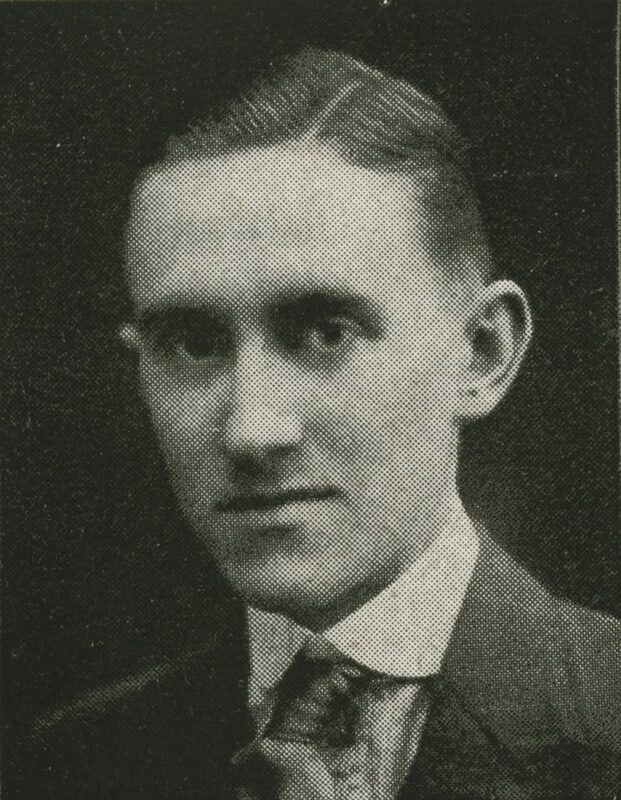 Lovitt was a student leader during his time at Penn, serving as president of the senior class, chairman of the Undergraduate Council, and editor in chief of the Punch Bowl. He was a member of the Phi Beta Kappa honorary fraternity as well as the Sphinx Senior Society. Lovitt was awarded a Rhodes Scholarship in 1920, making him Penn’s fifth recipient since the scholarship program’s inception. This allowed Lovitt to study law at University of Oxford’s Christ Church, from which he received his Bachelor of Civil Law and Bachelor of Arts in Jurisprudence degrees in 1924 and his master’s degree in 1928. Lovitt served in the Navy during World War I and was appointed Expert on International Security Affairs for the Department of State’s War Area Economic Division during World War II. He had briefly taught finance in the Wharton School of Business’s Evening School between 1935 and 1938. Lovitt was a partner in the law firm of Beechwood and Lovitt and a member of the federal, Pennsylvania, and Philadelphia Bar Associations as well as the American Maritime Law Association. He also served as barrister-at-law of the Inner Temple of London. Lovitt died on June 22, 1966, at age 67. He was married to the former Eleanor Jones and had two step daughters.